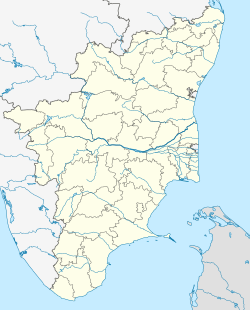 Nandivaram-Guduvancheri is a panchayat town located in Kancheepuram district in the Indian state of Tamil Nadu. ^ "Census of India 2011: Data from the 2011 Census, including cities, villages and towns (Provisional)". Census Commission of India. Archived from the original on 16 June 2004. Retrieved 1 November 2011. This Kanchipuram district location article is a stub. You can help Wikipedia by expanding it. This page was last edited on 11 November 2018, at 21:22 (UTC).